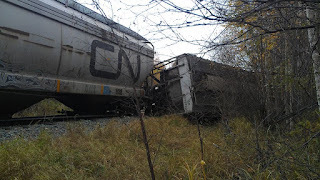 No injuries were reported after 12 rail cars jumped the CN Rail Westlock Sub-Line just south of the Hamlet of Pickardville at approximately 9:30 a.m. Oct. 7. According to CN Rail spokesperson Kate Fenske there were no dangerous goods spilled in the incident, only salt, grain and lumber. Main access to the hamlet, which is Range Road 585, was closed until the early afternoon as crews worked quickly to open the line. A large contingent of backhoes, bulldozers and assorted heavy equipment were dispatched to the site and were able to have the line open for train traffic by Saturday, Oct. 8. 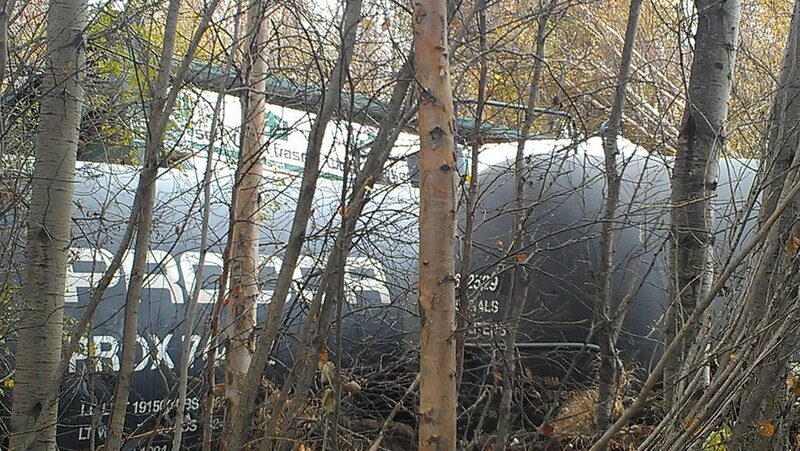 “The guys have been working around the clock trying to get it cleaned up,” said Fenske Saturday, adding that the investigation into the derailment is underway. 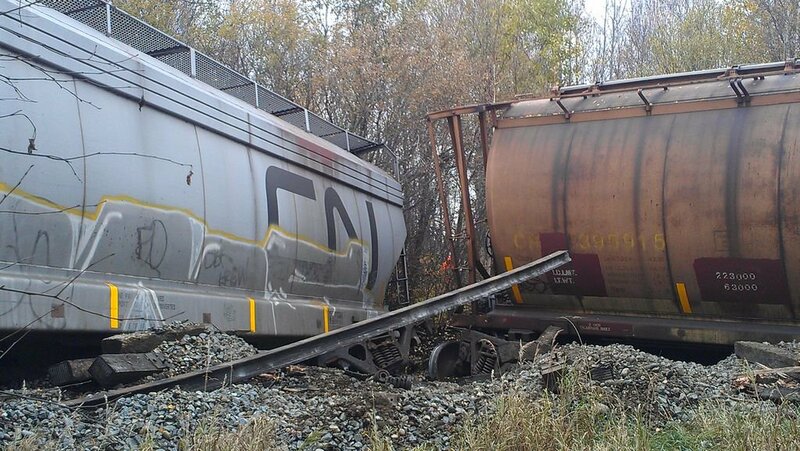 The derailment follows another one near Camrose on Oct. 5, where eight cars left the track. 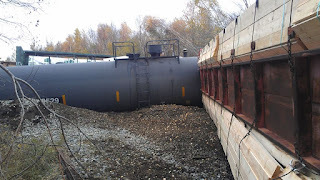 No injuries or dangerous goods were reported in that derailment either. 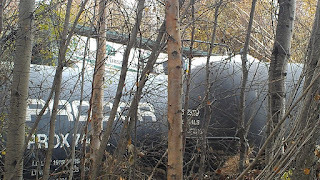 According to the Transportation Safety Board’s website, as of Aug. 31 there have been 66 reported train derailments in Alberta this year, not including the two incidents last week. This is the second derailment to occur within the borders of Westlock County this year — a train derailed near Westlock on Feb. 14 with no reported injuries or dangerous goods spilled. There are approximately 310 industrial railways in the province, according to the Alberta Transportation website. 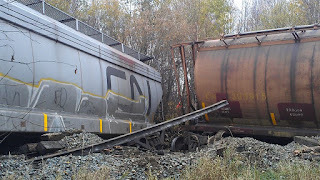 Under the federal Rail Safety Act, trains moving through areas with populations of 10,000 people or more have a maximum speed limit of 40 m.p.h. or 64 km/h. The speed limit for trains outside of populated areas is 50 m.p.h. or 80 km/h. The 130-mile Westlock Sub-Line runs from Smith, through Westlock and terminates in Edmonton.